Important update – it is not possible for the university to hold open a student’s email account for 90 days after graduation. This is due to Microsoft licensing. We are therefore having to change the email/Box opt-in/out period from 90 days after graduation to 30 days. If you do nothing your email and Box account will be deleted 30 days after graduation. Congratulations, you made it! Whether you have completed your Undergraduate, Postgraduate Taught or Postgraduate Research qualification, there are some tasks you may want to do before your graduation date. At the end of your studies, your access to the University network and services will cease. There are, however, some services that we can offer you beyond graduation but due to the imminent GDPR legislation, you will have to give us your consent to continue using them. 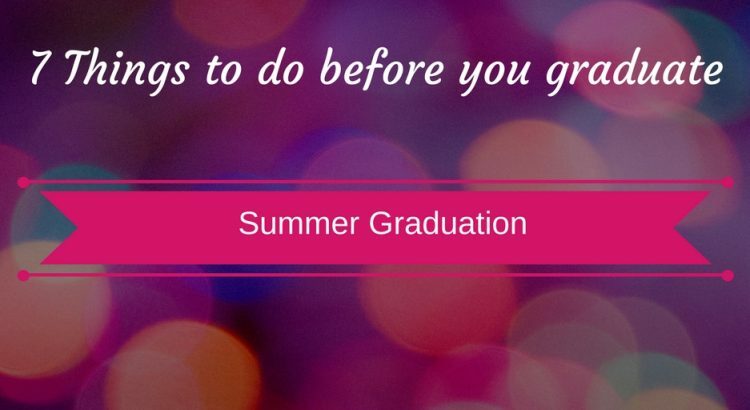 This page gives you a list of 7 actions we recommend you take BEFORE GRADUATION. We offer all students 2 years access to your university email account after graduation. To continue to access your email you will need to opt-in. There will soon be a banner on the portal inviting you to click through to opt-in (or out) to email and continued Box access. If you do not opt-in or opt-out, access to your account will be stopped on the day of graduation. You will have 90 days after your date of graduation to opt-in which you can do via the portal, or by contacting the Information Centre. After this date, your email account will be deleted with no chance of recovery. You can also choose to opt-out. If you choose this option, your email account with be deleted from the date of graduation and will not be recoverable. You then need to take a note of how to access your email after graduation. For the first three months after Graduation, you will continue to have access to the portal, this doesn’t include access to electronic resources. Something else you will need to consider is your data (files, photos etc). Anything that you have saved in your home folder or elsewhere on the network that you want to keep should be saved to an alternative location, as your network access will cease on your day of graduation. You may want to save this to a USB pen or you can opt-in to continue access to your Box account (see below) and save your data there. Alternative options include Google Drive, Dropbox or any other cloud filestore solution. There are a few options for Undergraduate students and Postgraduate Taught students in relation to your box account. If you want to transfer your Box account to a personal Box account you will need to Opt-in. There will be a banner on the portal, click on this link to opt-in to create a personal Box account. You can choose to Opt-out and your Box account will be deleted on graduation and it will not be possible to recover data and files. If you neither opt-in or opt-out your access to Box will be stopped on your graduation date, you can opt-in during the 90 day period after graduation via the portal. The Box account conversion will then proceed. If no opt-in is received within the 90 day period the Box account is automatically deleted. Postgraduate Research students should move your personal data out of Box, as your Box account will be archived on graduation. Copy files out of OneDrive onto an external storage device. Sign up for a personal OneDrive account (5GB) and transfer ownership of their institutional account files to the private account. You should make sure you return any library books that are still in your possession and pay any outstanding library fines. You can also sell on any outstanding print/copy credit to continuing students. If you want to do this please email information.centre@stir.ac.uk with your username and the name and username of the student you would like to transfer your remaining funds to. Have fun, enjoy your graduation day! We wish you all the very best for the future whether you continue with academia or you enter the world of work.